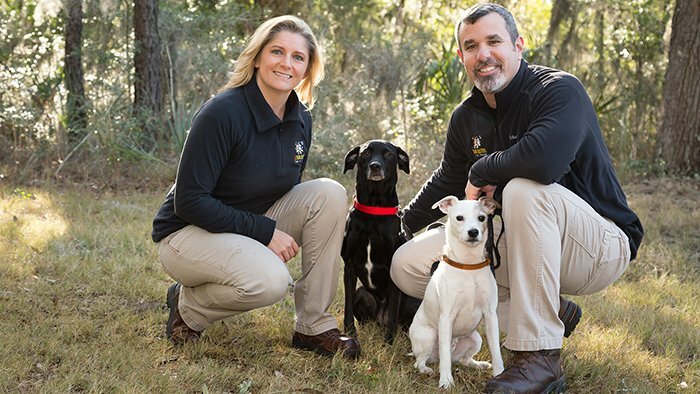 James & Michelle have owned and operated Bark Busters in Charleston for over 10 years and have helped train over 3,000 dogs. "James and Michelle with Bark Busters have become invaluable resources for our doctors, our staff and our clients over the years." We are not your typical "dog trainers". We are both veterans of the armed forces, have been married over 17 years and as owner operators we exclusively do all of the training with our clients. We decided over 10 years ago to follow our passion. We left the corporate world and pursued our dream of helping people and their dogs. We believe that the relationship between the owner and dog is the most important element of effective training. We teach the humans how to inherently meet the needs of the dog and build a relationship built on love & respect.
" We contacted Bark Busters after already having tried a training class and multiple individual training sessions with a different trainer, and were still having disruptive behavioral issues with our 1 year old puppy. Our vet recommended Bark Busters, and literally after one session we noticed huge, wonderful differences!" 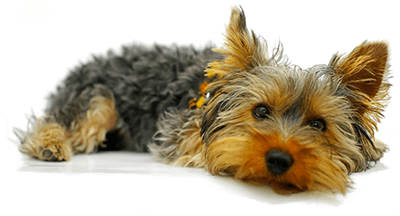 We can help with all types of obedience, puppy training, off leash control as well as behavior issues like separation anxiety, aggression and much more. Let us teach you why your dog is doing what he is doing and what you can do to change it. Please reach out to discuss your situation. We LOVE what we do and would love to share our passion, knowledge and experience with you. Ready to learn more? Please contact us by e-mail or by phone at 1-877-500-2275 to discuss your situation and goals. We look forward to helping you. Want more information? Visit our Charleston SC website.